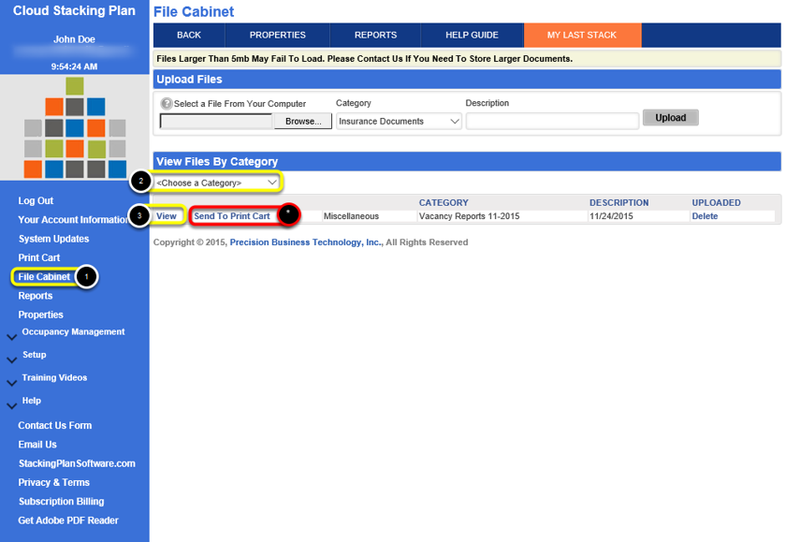 The file cabinet is a module that will enable you to store and manage documents associated with your stacking plans or documents you wish to upload from your pc. The purpose of this is to help you organize and consolidate your property information and even prepare consolidated PDF documents. The file will be added to the list below. * To Print this file, Select Send to Print Cart. 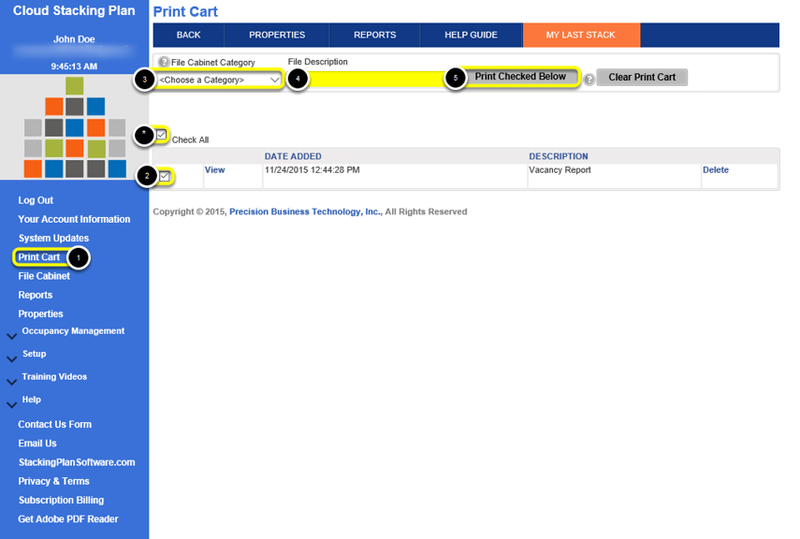 Then open Print Cart to Print the file. Enter a File Description for this PDF Print File. 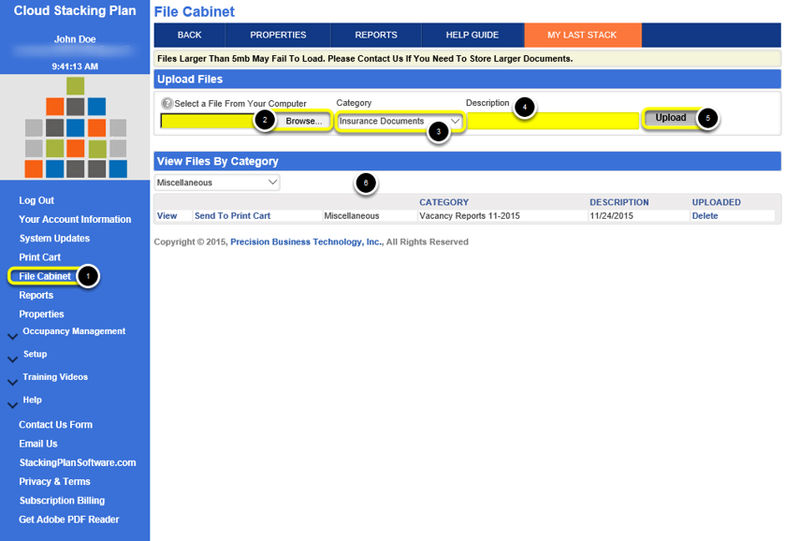 Note: This process should be followed for each file that needs to be saved individually. Check marking multiple files will combine them into one saved file.